Sustainable water for off-grid development. 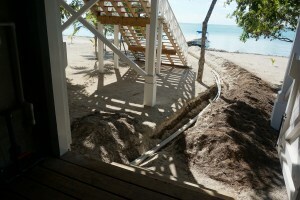 Reverse osmosis powered by the sun in Belize. The country of Belize has roughly 386 km of coastline, and has many coral reefs, cayes, and islands in the Caribbean Sea. Many of these islands and cayes have limited fresh water resources. At the same time, the local water infrastructure can be expensive, unreliable and with limited quality. In some cases, the water is hailed by trucks, which is costly and noisy exercise. This is the reason why resorts, private properties, and developers are looking for alternatives. 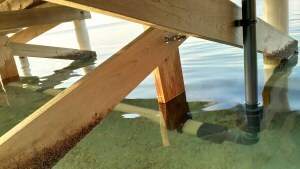 With the abundance of the sea and sun, it makes sense from a financial, environmental, reliability and sustainability aspect to organize a private water supply through solar-powered reverse osmosis. 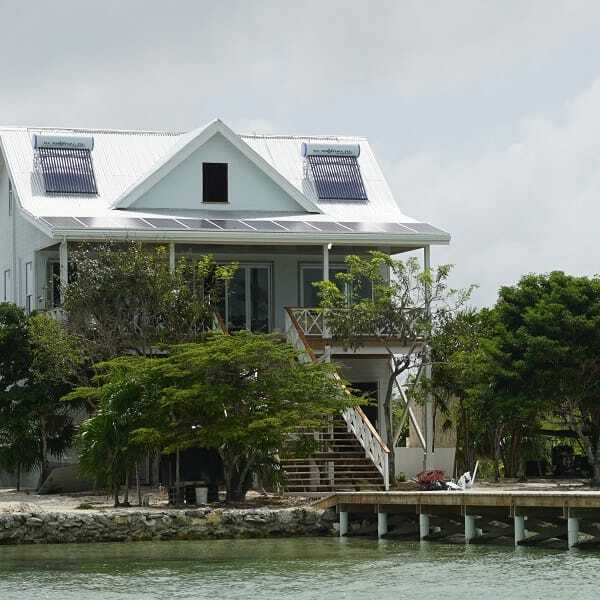 This off-grid property in Belize now enjoys sufficient clean water for domestic use and irrigation. The efficient desalination unit and intake pump are designed to have a low energy consumption through energy recovery. Maintenance is made easy using automated fresh flushing of the membranes, avoiding tasks by only using highly durable components and including remote monitoring and control. 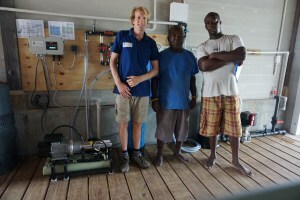 Off-grid development using efficient desalination. ‘’We were thrilled to find Elemental Water Makers. Considering our location, and our need for a system that could operate on solar power alone, their system was of particular interest since it was designed for low power consumption from the start. Even more, we love how—unlike other RO systems—it is designed for only part-time and occasional use. At this time, we have only occasional need for water production (when we outstrip the production of natural rainfall), so it is reassuring to know that we don’t have to keep the water flowing at all times just to ensure the system doesn’t fail. EWM seems to have thought of everything!